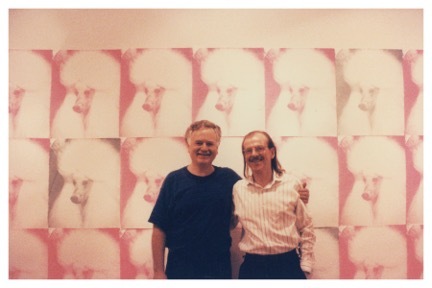 Eric Avery and Graham Gallery owner, Bill Graham in front of wallpaper installation “Snowball and Misty” at exhibition opening. Bill died of AIDS in 1992. 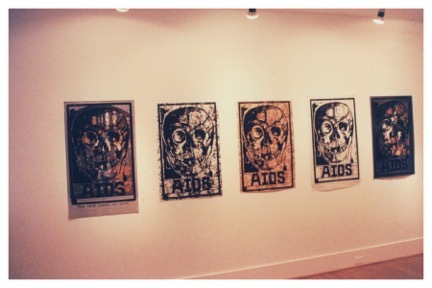 First exhibition of “1984” in 5 versions. 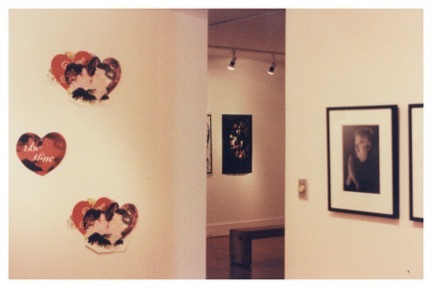 Gallery installation view of “The Kiss” (1992) and “Use Your Head, Use a Condom” (1992).